The EBS Valve Drive DI Professional Bass Tube Preamp is both preamp and overdrive in one compact unit, depending on user preference. Easily achieve a vintage or modern tube sound and turn your solid state amp into a tube amp at the flick of a switch. Its high-grade tube design produces everything from classic tube warmth to hard and pure tube distortion without sacrificing any bottom end. As well as delivering a superb sound, this versatile pedal is also equipped with control options for Volume, Treble, Middle, Bass and Gain for the ultimate tone, and two footswitches for easily switching between effects. 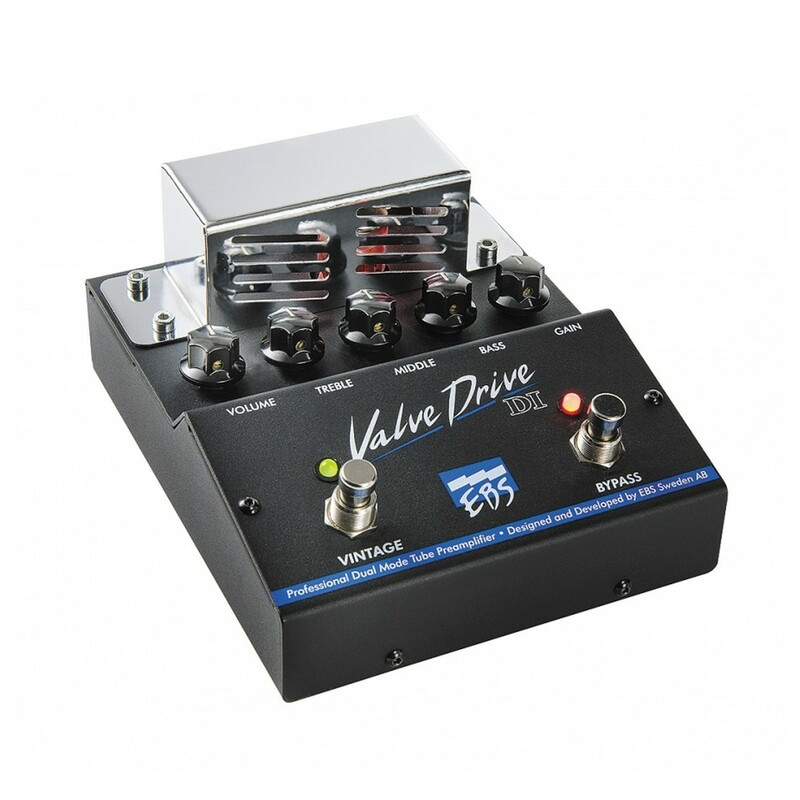 With all its tonal options, the Valve Drive DI is a bassist's dream come true. The EBS Valve Drive DI pedal is a two-in-one unit, offering a tube preamp along with an overdrive effect. With the pedals Gain at modest setting, and the Volume cranked up, the Valve Drive DI will deliver a full host of full-bodied, warm and beefy tones with a nice presence of tube compression. Players can also use this pedal in the studio and for live performances, enhancing their versatility at all times. As well as offering a warm tube preamp, the Valve Drive doubles up as an overdrive pedal, for that extra impact when needed. Simply turn up the Gain to achieve a nice overdrive tone, and choose between Vintage or Normal character. This versatile unit comes equipped with control options for Volume, Treble, Middle, Bass and Gain to easily dial in your perfect sound. 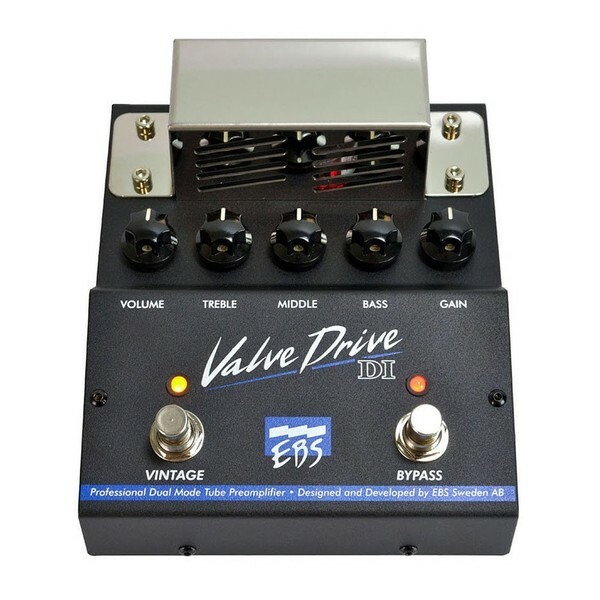 The EBS Valve Drive DI also features an XLR-output, which offers a balanced floating signal that allows you to plug the pedal straight into the mixing console in the studio or at the gig for a quick set up. The EBS Valve Drive DI Professional Bass Tube Preamp features a durable design that is built for the road. 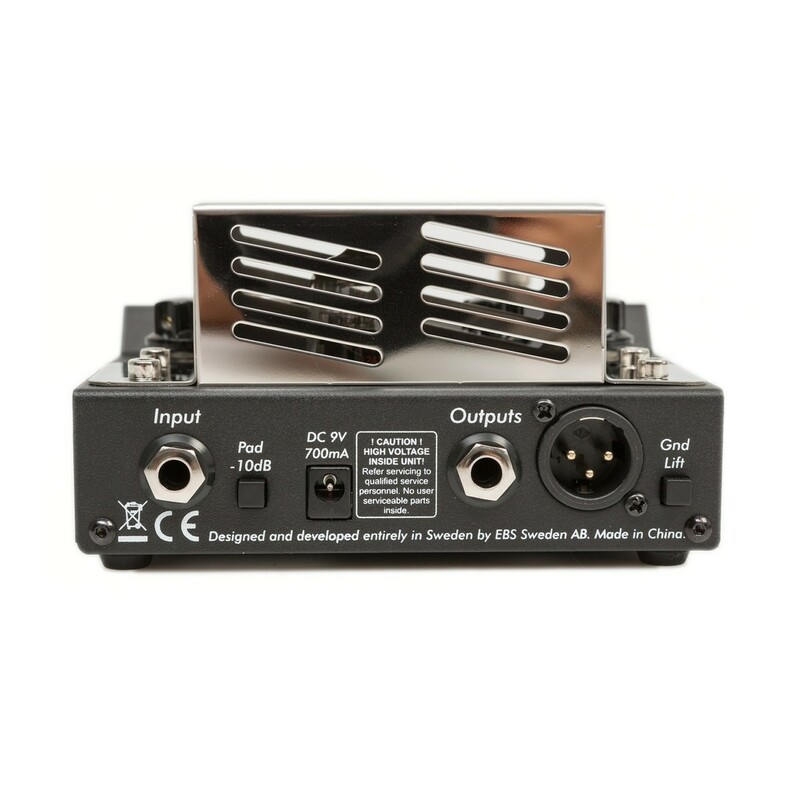 Its simple chassis includes two footswitches along with five control knobs, and a protective shield around the internal components. If that's not enough, players can also benefit from the top mounted jacks which allow you to place alongside similar pedals while maximising the space on your pedalboard.